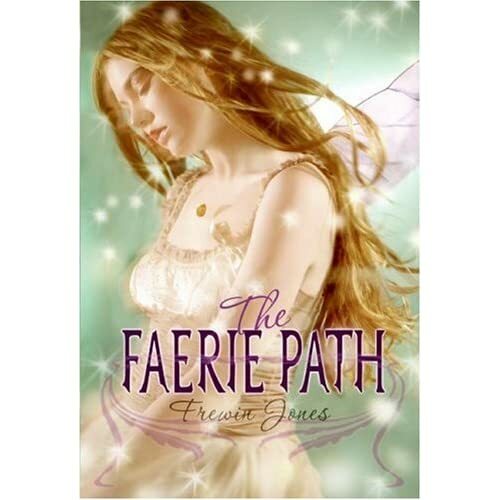 Books about faeries/faerie are my absolute favorite and I spotted 2 that I didn't even know about - The Faerie Path and Wicked Lovely! (I had already known about Ironside). Thanks for posting! Where do you find out what books are coming out so far in advance? Off to check out the rest of them. Make sure to read Straight on 'til Morning by Christopher Golden for a new spin on Peter, Wendy, the Lost Boys, and even Tink . . . I hear about forthcoming titles any number of ways: I do research online, looking up books by keywords at publishers' websites and at Amazon. (Though I rarely buy things from Amazon, preferring to work at and purchase items from independent bookstores, I like the easy accessibility that Amazon provides for keywords and such.) Authors and publishers list their future works at their websites. Friends recommend titles to me. Etcetera. I already read Straight on 'til Morning at your recommendation. I loved it! Usually i just check Barnes and Noble and Amazon websites under their new release section. I never thought to check publisher websites. What are some of the major ones? That cover is gorgeous! I can't wait to read it! Excellent! Then have I told you about STRANGEWOOD, also by Christopher Golden? That one doesn't look familiar but I just put it on my list. It looks very good. My favorite so far by him was The Myth Hunters. I am eagerly awaiting the second one The Borderkind! I have a bunch of his other books on my "to read list". If you end up liking The Looking Glass Wars, the sequel is scheduled to come out around October. The title is Seeing Redd.